I am certainly a work in progress. My hearts desire is to grow more like Jesus, but I still have a long way to go. 😉 One of the things I find myself dealing with on occasion is disappointment. This isn’t new. On occasion, we all deal with disappointment from the time we are a child till the grave but I am asking God to give me a better attitude towards it. We need to be careful not to allow it to grow into discouragement. 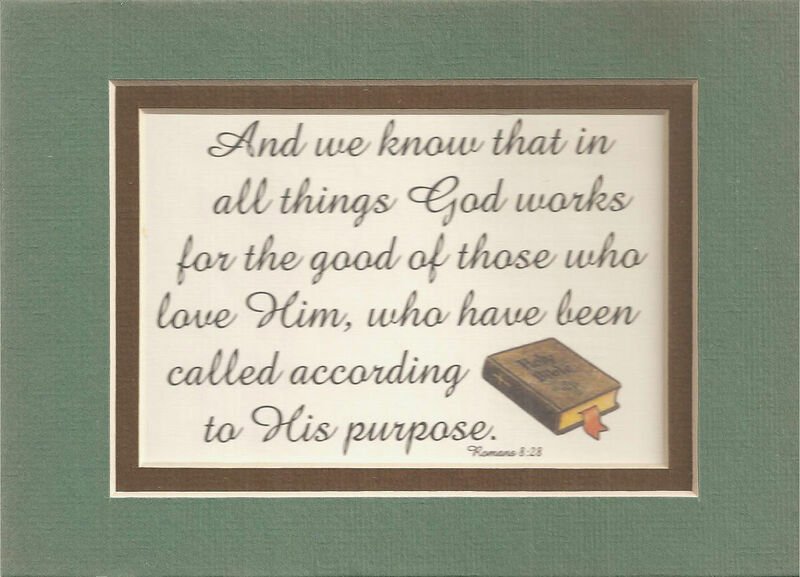 If you break it down disappointment really boils down to a lack of faith and trust in the Word because Romans 8:28 NIV says, 28 And we know that in all things God works for the good of those who love Him, who have been called according to His purpose. I know for certain that I love Him and I know that I have been called so this Word is as true for me as it is for all of my brothers and sisters in Christ! Therefore, it is imperative that I trust Him to work things for the good, despite how they may look to me. I have seen God move in and through my life many times since I came to Christ and I know that I know He is faithful and true. So I must guard my heart from allowing any disappointments to lead to discouragement or perhaps even bitterness. When disappointment comes, our attitude towards it can cause us to grow spiritually or to wither. I am determined, that despite my not so great attitude at times towards it, I must allow God to use it to draw me closer to Him and make me more like His Son. Whether your disappointments come in the form of other people, yourself or circumstances beyond your control, join me in asking God to allow them to mold us more into the image of Jesus. He dealt with so many disappointments. His disciples let Him down multiple times for example in the Garden of Gethsemane when He asked them to stay awake and pray for Him, they fell asleep. Though He demonstrated love and mercy to those He met, He saw the disciples act out of anger and fear on numerous occasions, instead of following His example such as Peter when he cut off the guards ear or when Peter’s lack of faith caused him to doubt when Jesus called him to walk upon the sea. We have a Savior and Lord that knew disappointment firsthand yet it did not keep Him from fulfilling the purpose God had for Him just as we cannot let disappointment keep us from fulfilling the purpose God has called us to. Lord, give us such a love for You that we will trust You completely whether we understand a thing or not. When our heart is full of disappointment, give us the grace to carry on and trust You in everything without whining and complaining. Increase our faith so that we will keep our eyes on You and not on others or our circumstances and make us more like You Jesus. ← Be like Joseph and bloom where you’re planted!